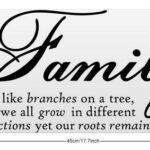 Application:livingroom, Dorm,game room,bedroom, Nursery room, Company, office, Flower store, window. 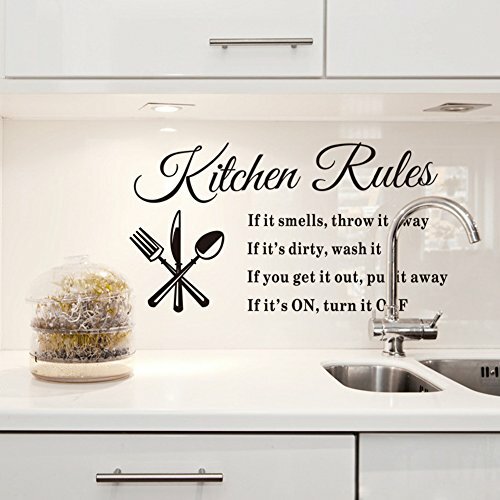 1.Clean surface with a dry or slightly damp cloth or sponge ensuring the surface is free of dust or dirt. 2.Remove decal from the paper backing and apply to desired surface, smoothing with your hand or a dry cloth. 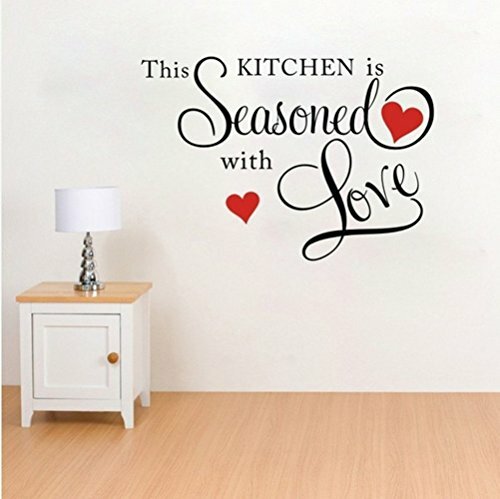 3.If your walls are newly painted, please wait at least two weeks before applying decals. 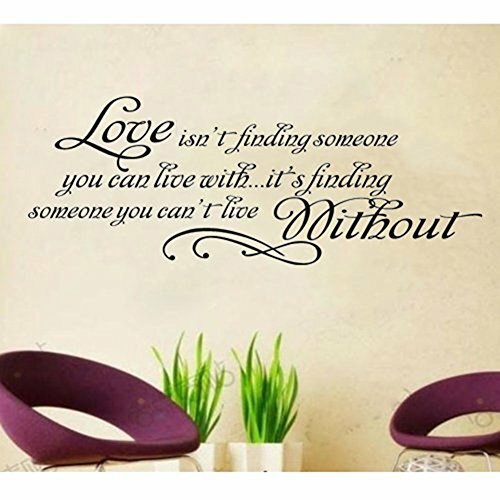 2.Determine the place you wish to place the wall stickers. 3.Rip off the clear sticky plastic film from the hard paper. 4.Cut the patterns carefully into separate pieces. 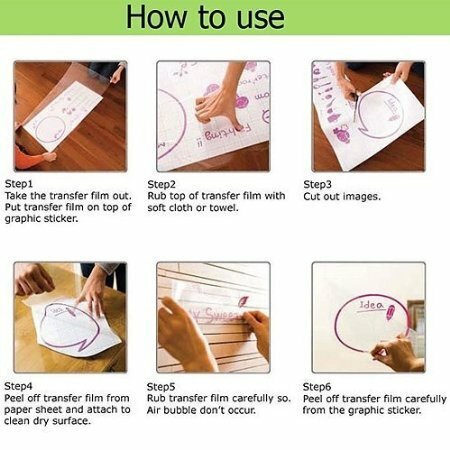 6.Stick the film on the place you would like to decorate. 7.Press to fix the patterns , and then rip off the empty film. Please use dryer to warm up the decals before peeling them off from the wall. 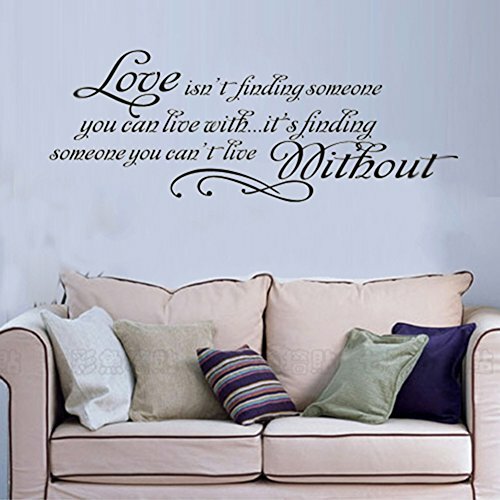 Material:Superior qualily Vinyl wall decal ,Waterproof and Gift transfer film. Qualify:Regular factory produced, double-sided hollow carved white walls, suitable paste, colored walls, window glass,affixed to any smooth surface. Package Description. Our packaging of our wall stickers using the hard kraft volume of packaging, paper tube packaging compression. 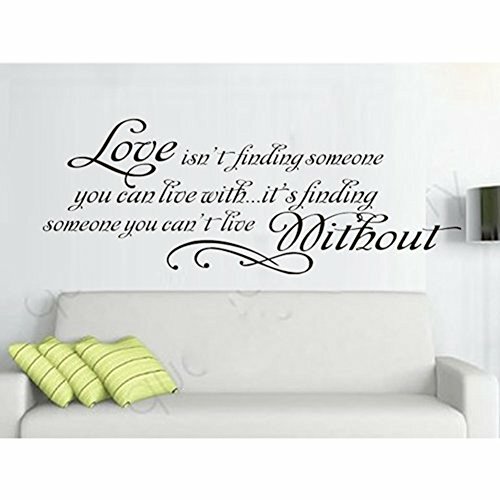 Be the first to review “15.7″ X 33.5″ Love Quotes Wall Sticker Love Isn’t Finding Someone You Can Live With, It’s Finding Someone You Can’t Live Without Wall Saying Sticky Removable Wall Art Decor DIY Vinyl Wall Decal.” Click here to cancel reply.